This is an attractive pill storge box in the style of a vanity case. It allows you to easily manage your daily medication in a discreet way. 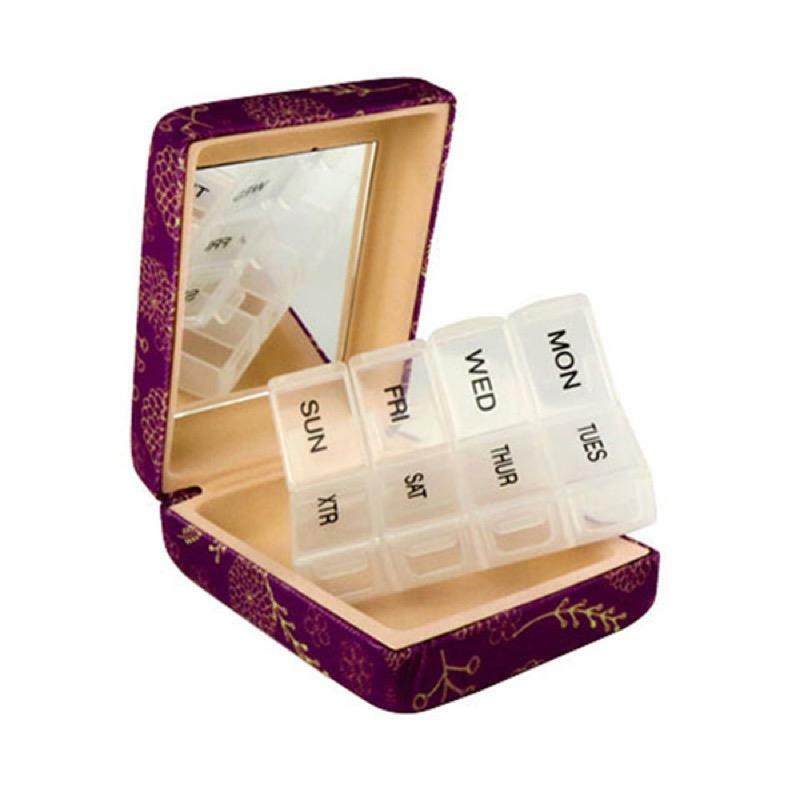 This is an attractive pill storge box in the style of a vanity case. It allows you to easily manage your daily medication in a discreet way. The box has a snap shut lid to keep your pills safe and come in 2 sizes and colourways and also features a handy internal mirror. the inner container is marked with each week day plus a spare slot for additional pills.